NYC Bagel & Sandwich Shop is a scam currently being promoted via 300 deceptive ads on Craig’s List. 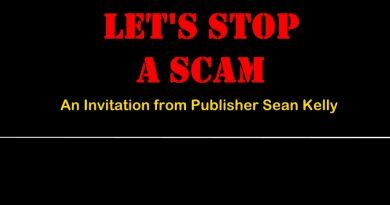 Here’s how to spot the deceptive sales pitch elements common how to the various NYC Bagel Scam ads. Please share this link and this video and support our GoFundMe initiative so no more families and individuals get scammed. (UnhappyFranchisee.Com) Why do smart, hardworking people fall for the NYC Bagel and Sandwich Shop franchise opportunity scam? Because it’s a very good and plausible sales pitch delivered by an expert con-men named Dennis Mason and Joe Smith. While there are many variations of the NYC Bagel scam ads, there are some common, central sales points that make up the narrative. NYC Bagel & Sandwich Shop Franchise Pitch is Too Good to be True. Literally. In the video above, we break down the content of the NYC Bagel & Sandwich Shop ads and point out the common elements and themes that run through them. COLLEGE PRO PAINTERS: Great Opportunity or Franchise Scam?